Kate Middleton is pro at mixing high-end and high street pieces to create her elegant, fit-for-a-future queen look. And, she quite rightly, more often than not, plumps for British designers. Here's a run through of the Brit brands that have been given the Kate seal of approval. The Duchess of Cambridge is a big Alexander McQueen fan. Most notably related to the brand was her wedding dress, which Sarah Burton for Alexander McQueen won the highly sought-after job of designing. Sarah Burton, former long-term assistant of McQueen, took the reigns as creative director of the British brand in 2010. A good deal of Kate’s custom and ready-to-wear outfits have been from the label, including the red pleated dress she wore to the Dramatic Arts Reception at Buckingham Palace this February, and, in 2012, at the Queen’s Diamond Jubilee pageant. 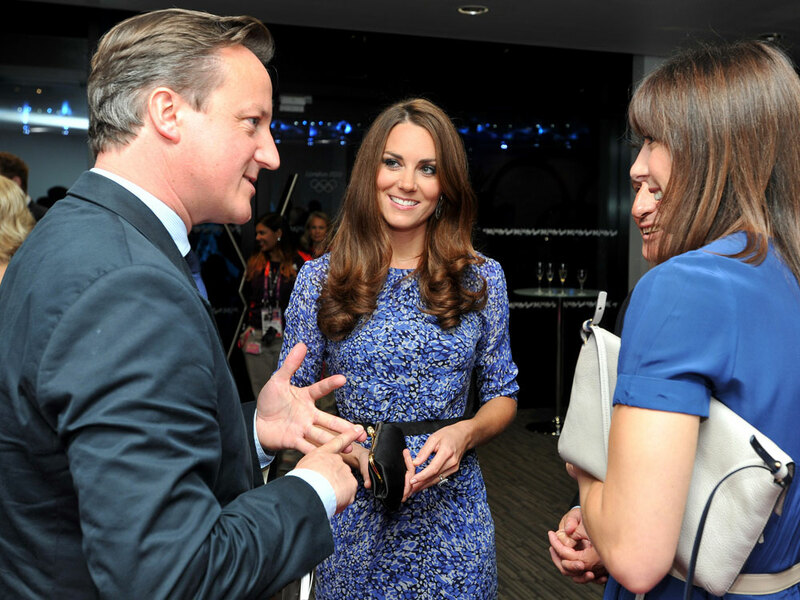 Jenny Packham is another of the Duchess’ favourite labels. It was, in fact, the British designer, known best for her bridal gowns and formal ready-to-wear collections, who was chosen to design the dress Kate wore outside the Lindo Wing for her first appearance with Prince William. Kate is also a fan of her formal gowns, having worn one for her first public appearance of 2014, with a necklace she’d borrowed from the Queen. It was the same dress she wore back in October for the First 100 Women in Hedge Funds Fundraising Gala held for the Action on Addiction charity at Kensington Palace. Temperley London, owned by British designer Alice Temperley, experienced the Kate Effect after she wore one of her dresses to Wimbledon in June 2011. The white pleated dress totally sold out online. It was rumoured, wrongly, that Temperley would design Kate’s wedding dress but, as mentioned earlier, the highly sought-after job went to Sarah Burton. Temperley is a fan of the Duchess, having called her an ‘inspiration’ and ‘an ambassador for British fashion’ during an interview in December. Erdem has become a fashion favourite of the Duchess. Fittingly, she wore the lace Cecile dress (below), by the Montreal-born but London-based designer, when she touched down in Canada for the for the first appearance of her and William’s royal visit in 2011. 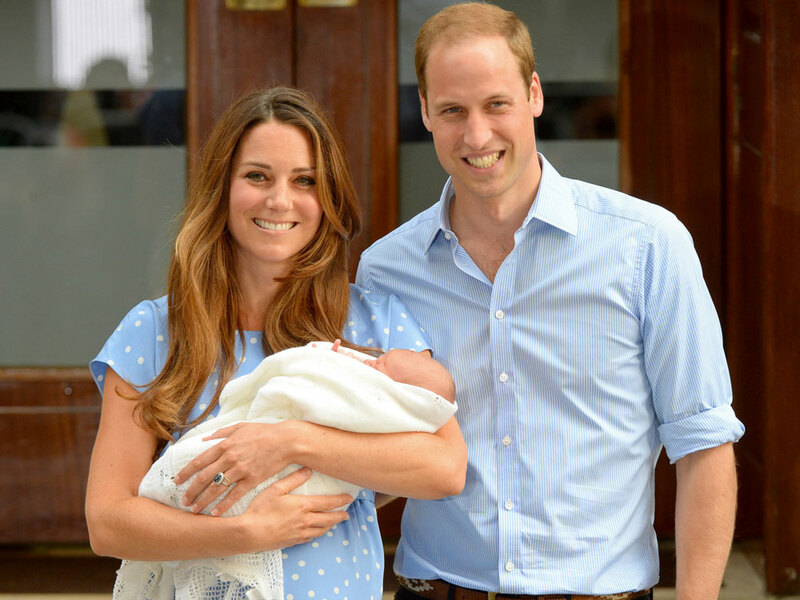 In 2013, she showed off her baby bump in a pale blue Erdem number at the The Willows Primary School in Wythenshawe. A graduate of Central Saint Martins, Emilia Wickstead’s designs have been favoured by the Duchess time and time again. So in love was she with the £1,200 pastel pink dress (below) that she wore it to the Queen’s Jubilee lunch in 2012 and then again, within two weeks, to her first Palace Garden Party. The first maternity dress Kate was seen in at the National Portrait Gallery was Emilia Wickstead’s work and, more recently, Kate opted for an aquamarine design by the label for one of her engagements in New Zealand. Kate has boosted the sales for Spanish clothing and accessories retailer Zara many a time. A dress she wore in December 2011 sold out on the US, UK and Canadian websites in two days and the Kate Effect struck again when she teamed her Roland Mouret gown with a £19.99 fake crystal Zara necklace for the Mandela: Long Walk To Freedom premiere on 6 December. Another big favourite of the Duchess of Cambridge is the British heritage brand L.K.Bennett. The green suit she wore to the launch of the Diamond Jubilee tour sold out in just one hour. And her appearance at Northolt High School in west London, in the Detroit dress had a similar effect on sales. And, it can’t go unnoticed that Kate’s beloved L.K.Bennett Sledge pumps accompany pretty much all of her outfits. We all know of Kate’s penchant for the British brand, but does it boost sales? Apparently not, according to CEO Jane Shepherdson. She revealed in an interview with Business of Fashion in 2012 that, though Kate regularly wears Whistles clothing and causes a selling and internet furore, much of it is from past seasons. As Whistles manufactures limited numbers anyway, selling out of popular styles, like the Bella dress which Kate wore, is not a rarity. She wore the £150 dress to both the Diamond Jubilee concert in June 2012 and the Olympic Closing Ceremony, which she attended with Prince Harry, in August. Hobbs experienced the Kate Effect in a big way when Kate wore the Dalmatian print coat to the launch of the Royal Princess ship in June 2013. The coat sold out in minutes. The chic British brand fitted the bill for Kate’s St Patrick’s Day wardrobe this year when she opted for their a double-breasted wool trench, instead of the Emilia Wickstead coat she’d worn for two years previously. Reiss has provided some of Kate’s most memorable looks. She opted for the bright blue Trina dress (which her mum had been papped in previously) for her first public speech in 2012, as well wearing the Nanette dress for her engagement shoot with Mario Testino. For her hugely talked about meeting with Michelle Obama in May 2011 she opted for the beige Shola dress. The internet went crazy when, in April 13, Kate wore a polka dot Topshop dress on a visit to the Warner Bros studios. The £38 dress had sold out in an hour. Her penchant for recycling outfits was apparent again when she opted for the very same dress for a friend’s wedding just a month later. Kate’s relationship with Really Wild Clothing Company began back in 2004 when she posed in front of Blenheim Palace for a modelling shoot to do a favour for a friend. More recently, a £415 waist coast she wore on a trip to Kent had the company inundated with calls.